Bangkok, 5 August 2014 – The Tourism Authority of Thailand (TAT) recently organised a special “Road Trip with ….Amazing Thailand” caravan for Bangkok-based members of the international media, as well as travel bloggers, as a way of showing the world that the kingdom is ready to welcome all tourists to enjoy many attractions and presenting an interesting experience of travelling by the classic vehicles. 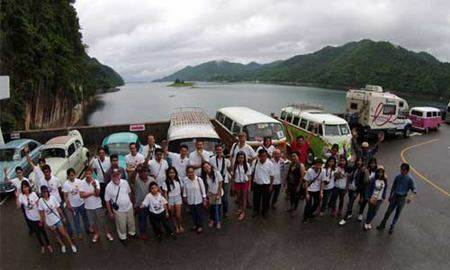 Taking place on 1-2 August 2014, the ‘Road Trip with ….Amazing Thailand’caravan saw 12 members of the Bangkok-based international media take part in a fun road journey in vintage cars to explore some of the famous tourist attractions that are so beloved by tourists to the kingdom. The focus of the two-day/one-night trip was the province of Kanchanaburi, a lush green region just a couple of hours from Bangkok with a range of historical and natural attractions. During the trip, visits were made to historical sites from World War II including the world-renowned Death Railway and the Krasae Cave where the allied prisoners-of-war working on the railway were able to rest. Also on the itinerary wasthe “Hell Fire Pass Memorial Museum” which tells the story of the most notorious section of the Death Railway built by Allied Prisoners of War. 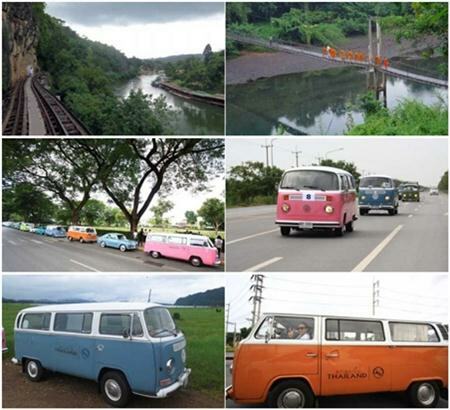 The road trip also stopped by the Thong PhaPhum district, which is famous in Thailand for its adventure activities. 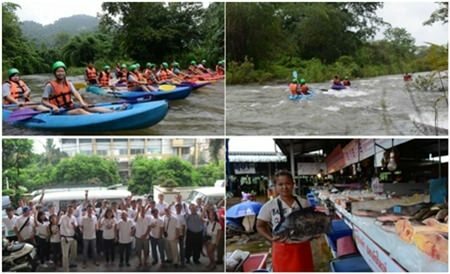 Here the participants enjoyed a range of soft-adventure activities including rafting, trekking and ATV riding. 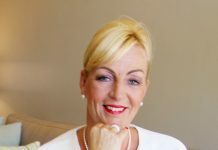 The caravan is just one of TAT’s many advertising and promotional mediums which operate through online and offline channels to keep travellers up to date with all developments in Thailand and make sure they are confident about visiting the nation.